The Drusian estate lies in the “Route of Prosecco and wines from the hills of Conegliano and Valdobbiadene” on hills long established for their wine-making tradition, and which now are known for the production of Prosecco. 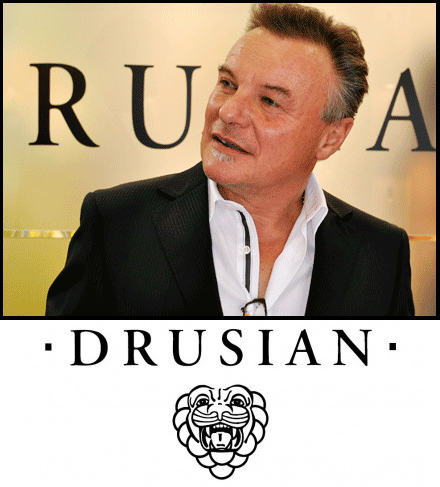 The Drusian family has been producing Prosecco wine for three generations. It all started with Grandfather Giuseppino in the middle of the Nineteenth Century. At the time, he was producing 600 hectoliters a year, and was considered one of the largest producers of “still” Prosecco, it was not yet customary to make sparkling wine. His son Rino followed on up until 1984, when Francesco took over the reigns of the winery. It is thanks to him that certain technological innovations were made, including, in 1986, the first production of sparkling wine. Since 1998, the winery is at San Giacomo of Valdobbiadene, in the heart of 200 acres of vineyard and is equipped with extremely modern means of making and bottling wine. The current production is around 600,000 bottles a year of Prosecco and Cartizze; limited in quantities but extremely high quality. The Drusian family secret is in their love of the land and wine, in the passion they show for their work, and in the discriminating use of the most modern technologies. It is essential to note that each step of the process is performed with care; no pesticides or insecticides are used on the vines and only organic and bio-dynamic, not chemical fertilizers are employed.